The magnetic-lock slide sandal is an interesting reconsideration of the traditional sandal/flip-flop. Magnets allow the slide sandal to be fun and interactive while also preventing tears from wear. The sandal has curvature that perfectly aligns with the shape of the foot as well as an arched heel support. 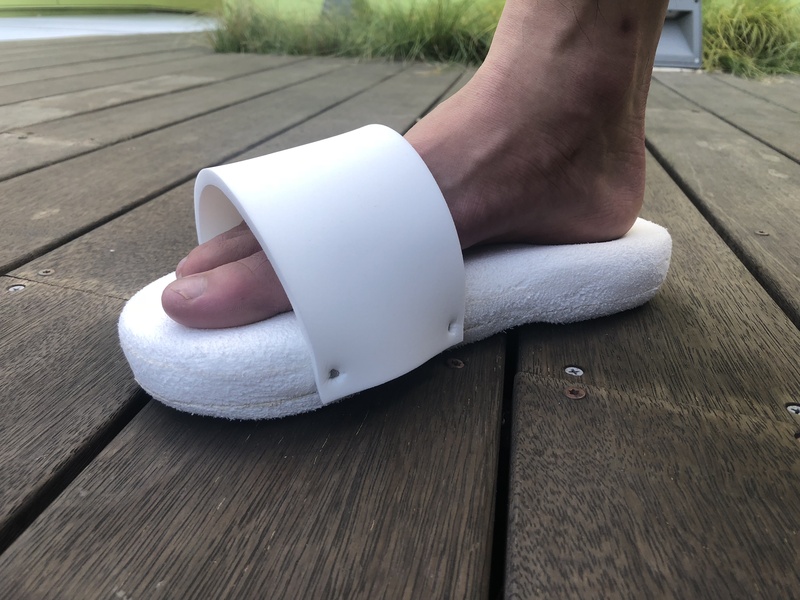 The magnetic-lock slide sandal was created by combining three layers of foam with contact adhesive and subtracting the material with knives, sandpaper, and files.